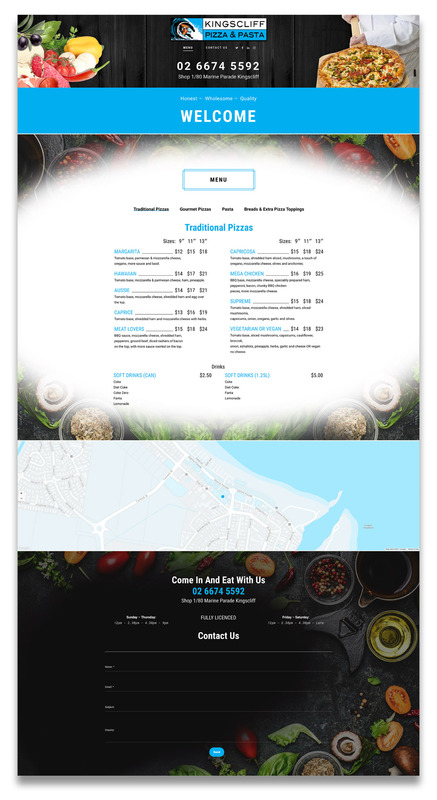 Kingscliff Pizza & Pasta Website. Description: For our clients at Kingscliff Pizza & Pasta we designed a new logo, website, shop signs, in store menu boards & takeaway menus. For their new pizza business located across from the pacific ocean in beautiful Kingscliff NSW. 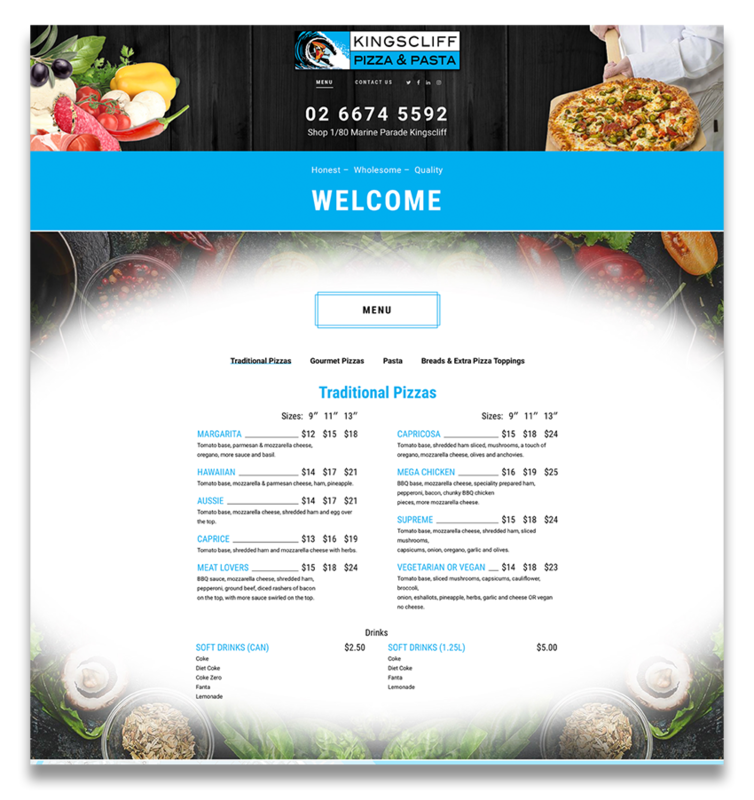 Please feel free to visit this site kingscliffpizzaandpasta.com.au and contact me for a quote on designing your new website.